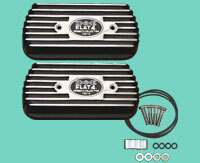 FLAT4 original aluminum valve cover is made in Germany. 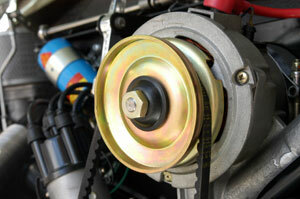 Special "O" ring is used to shut out any oil leak. Deep fins on the cover will help reduce the oil temperature. 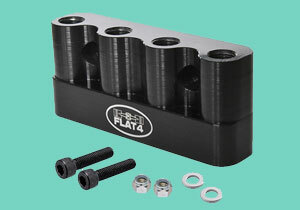 This valve cover also designed to accept the original style valve cover gasket and casted stopper will stop the gasket to be sucked in. 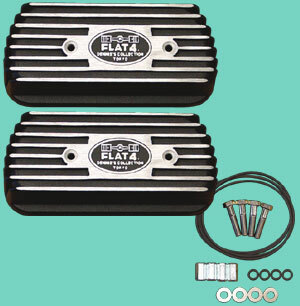 Our cover is also designed to clear high ratio rocker arms, so the cover can be use on the street to the race application. 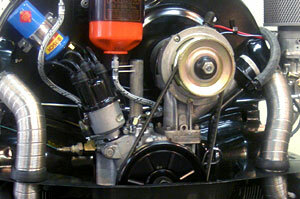 W/HARDWARE & GASKET 40HP-ON　Pr. FLAT4 Original 50's, 60's FRAM style fan housing mount oil filter is identical to old original FRAM oil filter. This FRAM style oil filter was seen on early OKRASA and PORSCHE 356 engine. 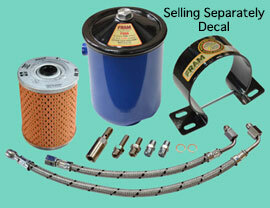 German made new oil lines with special banjo fitting adapter to install our oil filter clean. 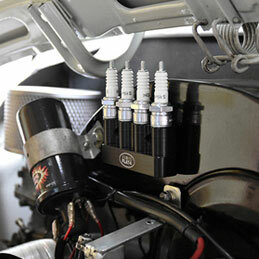 We even made the oil return fitting in 2 style as for 25/36HP and 40HP on VW engine case. Now you can have the look of ultimate Vintage engine room. We reserched into making new aluminum crank shaft pulley and developed the look of genuine VW crank shaft pulley but with today's CNC technology. This is all MADE IN USA. 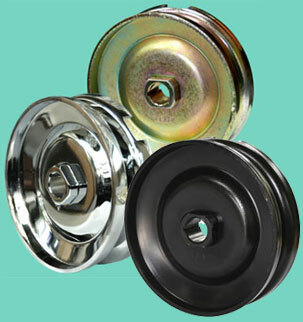 This pulley is perfect for one who wants the look of original VW engine room but the highest quality crank shaft pulley!! 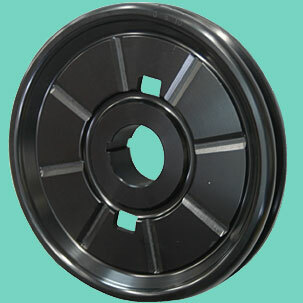 After long period of R&D, FLAT4 finally has come up with steel generetor/alternator pulley that you can trust on. As come as Genuine VW, FLAT4 H/D pulley made of 3mm thick steel all around.Pressed on hub is used on FLAT4 H/D generetor/alternator pulley.Clearance on Hub shaft hole and woodruff key is just perfect!! Cut for the anti spin holder area is made carefully also. 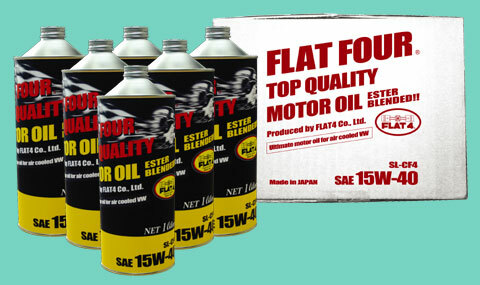 FLAT4 made special engine oil only for air cooled VW. This oil has only 0.5% of viscosity down rate.No polymer is add to this oil which cause dirty sludge.FLAT4 engine oil is blended with "Ester" that can reduce friction loss of a camshaft and valve lifters, you can feel the improvement of engine response just by changing engine oil. 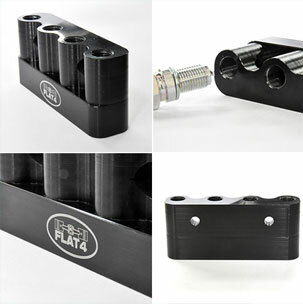 This high quality "Made in U.S.A." spark plug holder is finished in black anodized and laser etched FLAT4 logo. Available in 14mm and 12mm threads.